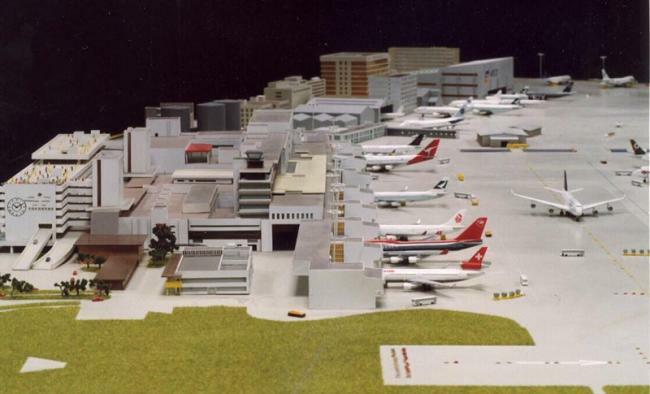 Unfortunately for aviation enthusiasts Kai Tak Airport no longer exists, but it does live on in model form. Donald Gardner from ‘The Diecast Flyer’ has the full story on the model. Hu Chow has created one of the most impressive renditions of an airport diorama with his design and construction of a model Kai Tak Airport. The 1/400 airport layout takes us back to 1988, a busy time for the once bustling Hong Kong Kai Tak Airport. 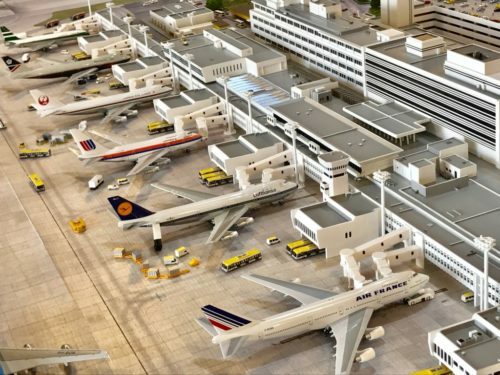 In this Airport Spotlight Series we chat with Hu about his inspiration and motivation for creating his model airport diorama. More than just place to park model planes on, the diorama also includes the terminal building, car park, and adjoining landside buildings. 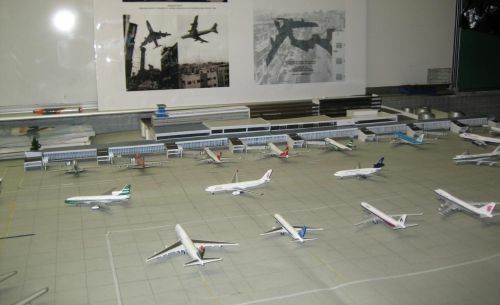 Another model of Kai Tak Airport was once on display at ‘WingsWorld Museum‘ in San Po Kong. Approximately 9 metres by 3 metres in size, the model was completed in the late 1990s and was apparently owned by Wilson Yeung of Airliners Group Ltd, then Hong Kong distributor of the Herpa range of model planes. 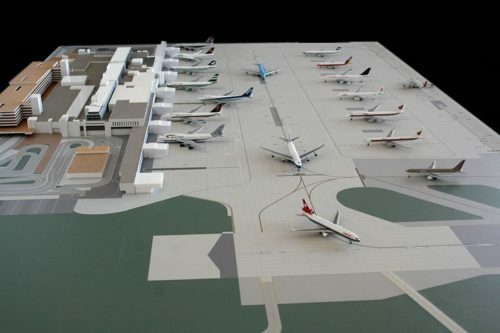 A number of members on the ‘wings900’ model aircraft collectors forum have also created their own scale models of Kai Tak – this model in 1:500 scale is the work of user ‘Cathay Pacific’. 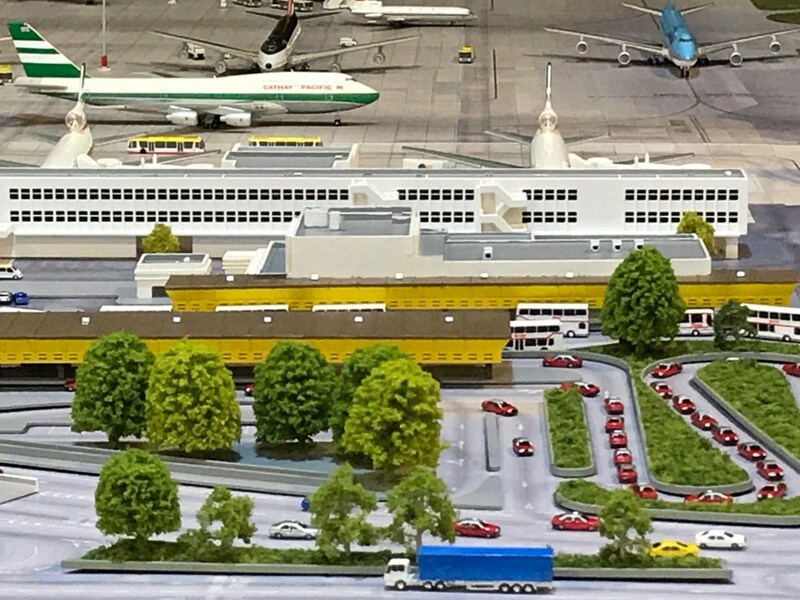 Another 1:500 scale Kai Tak is this model by ‘miuccini’. And here are two more scale models of Kai Tak – by “Charter” and “victordragon747”. 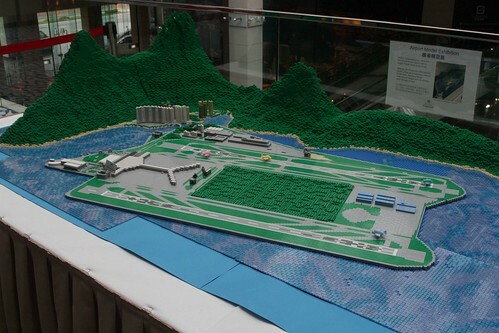 Here is a Lego model of the replacement for Kai Tak – today’s Hong Kong International Airport at Chek Lap Kok. You can find more Lego models of Hong Kong here – but I’m yet to find a Lego version of Kai Tak. This entry was posted in Transport and tagged hobbies, Hong Kong, Kai Tak Airport, planes, scale models. Bookmark the permalink.